Baja Designs OnX LED light bar Rockguard. The OnX Rockguard is designed for daytime use, not only to protect from dust and dirt, but to protect from harsh terrain that may throw pesky rocks at your OnX LED light bar. If you are looking for extra protection from your riding environments and a cool cover, then the OnX Rockguard is your answer! Not only does it protect your Squadron LED lights from harsh terrain that may throw dirt, dust and rocks, it also converts your Squadron to amber color. If you are looking for extra protection from your riding environments and a cool cover, then the Squadron rock guard is your answer. 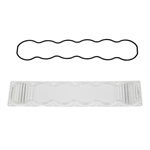 This rock guard/light cover fits the Squadron Pro & Squadron Sport. It is designed for daytime use, to protect from harsh terrain that may throw dirt, dust and rocks at your Squadron LED lights. 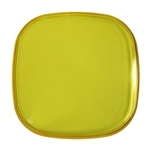 This rock guard/light cover fits the standard bezel XL Series. It is designed for daytime use, to protect from harsh terrain that may throw dirt, dust and rocks at your XL LED lights.If you are looking for extra protection from your riding environments and a cool cover, then the Squadron rock guard is your answer! This rock guard/light cover fits the standard bezel XL Series. It is designed for daytime and nighttime use. Not only does it protect your XL LED lights from harsh terrain that may throw dirt, dust and rocks, it also converts your XL to amber color. If you are looking for extra protection from your riding environments and a cool cover, then the Squadron rock guard is your answer! 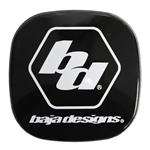 With uService® from Baja Designs, replacement lenses are a breeze. Whether you busted your old one or you just want to swap out for a different pattern its no problem. Our uService® allows for replaceable lenses and optics. Replacement Lens and O-ring kit for Baja Designs XL Series Lights. With uService® from Baja Designs, replacement lenses are a breeze. Whether you busted your old one or you just want to swap out for a different pattern its no problem. Replacement Lens and O-ring kit for Baja Designs OnX6 Series Lights. The New SII LED Light Flush Mount kit easily allows you to mount an SII in places you never could before. Now you can hide the 1800 Lumens of the SII in a sleek package that sits flush on any flat surface. These LED lights are waterproof and can be mounted virtually anywhere. They have a 360 degree optic to illuminate your cab, engine bay, wheel wells or anywhere else you need a super bright, super smooth light. 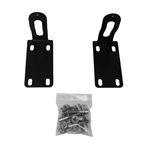 This Fog Pocket Kit fits Dodge Ram 2500/3500 2010-16 and allows you to mount 4 Baja Designs Squadrons in the factory location. This Plug and Play kit includes two vehicle specific mounting brackets and a wiring adapter, allowing you to use your factory switch and mounting hardware. Rigid Industries LED Lighting introduced the E-Series LED Light Bar; the first of its kind in the LED lighting industry. Since then, Rigid Industries has led the forward projecting LED lighting industry in light output and efficiency. The Squadron Sport utilizes 4 Cree LEDs producing an impressive 1,800 lumens at 20 watts making it ideal for near field, fog/dust, side/backup and scene lighting applications.